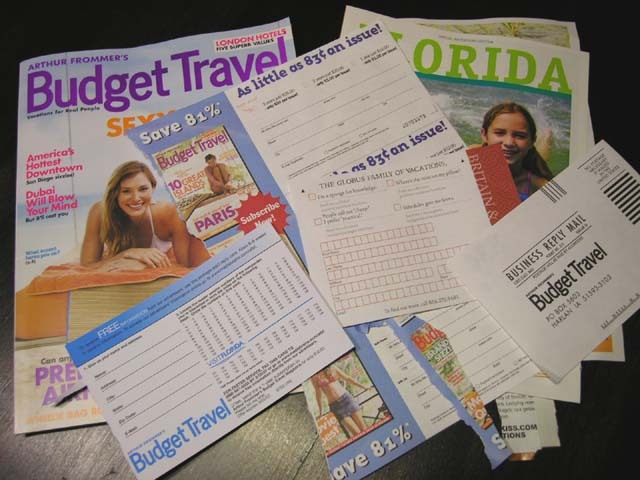 When you’re brimming with excitement for that out-of-town trip, it’s easy to forget one crucial thing: your budget. Sure, you should have oodles of fun at your destination – but not at the expense of your wallet. Part of the reason why I chose to be a freelance writer was so that I could be more flexible in terms of vacation days. But just because I have the freedom to take leave whenever I want, it doesn’t mean I have the means to do it. You don’t have to write an itinerary from scratch. Plenty of bloggers talk about their travels in detail, so search for those on the Internet, and make your itinerary from there. You can also add your own cheap, must-see spots to the list, based on what you’ve researched about your destination. Airfare eats up a huge chunk of your travel budget, so take advantage of deals whenever possible. Check your favorite airline’s website, and use the search function to find the most recent discount offers. Keep in mind that these deals close quickly, so plan – and book – your flight at least 6-8 weeks in advance. Also, don’t forget to book your tickets using private browsing. Airlines and travel sites can use your computer cookies and browser history to adjust ticket prices upward or downward based on your buying history and online behavior. For example, Travel News Editor for MapQuest, Zach Everson, warns that airlines will penalize you for appearing too eager by charging you a higher price when you search for the same flight multiple times . If possible, avoid going to a place during the peak season. Otherwise, you’ll have to deal with jacked-up hotel prices, overcrowded spots and an overall unpleasant travel experience. The heavier your baggage, the more airlines will charge you for it. Pack only the essentials, like clothes, toiletries and extra cash. This way, your wallet – and your back – will feel much lighter, and you’ll have more energy in your body for all those exciting adventures. If it’s your first time visiting a specific destination, use the Internet to look up the cheapest places to stay. A lot of hotels post their approximate prices on their official websites, so you shouldn’t have too much trouble with this one. To say that reliable, trustworthy contacts are important would be an understatement. Not only can locals give you information unavailable on the Internet, but they can also make your stay an extremely enjoyable, pleasant experience. Every time you visit a new place, be sure to make friends with at least one of the locals – especially one with knowledgeable about the area. Generally, public transportation is the cheapest way to get around an unfamiliar place. Seek information about them, and compare their fares with those of taxis and the like; chances are, the former will be on the lower end. The only downside to public transportation is you need to be familiar with their designated routes – but that’s a problem you can easily solve with Google. When you travel in groups, you can take advantage of discounts local tourist spots offer. More importantly, though, you have the chance to bond, make new friends, and share awesome experiences with your travel buddies. Souvenirs tend to lean on the expensive side, so you don’t want to take too much of them with you. Buy only the light, little trinkets, or take home the stuff you find lying around on the beach (if you’re visiting one, and if it’s allowed). If you really need something to remember your destination by, just take lots of high-quality photos for your album. It’s not the material things that make a destination worthwhile, but the experiences you take away from it. Ask your local friend if there are any off-the-wall places where you can walk, frolic and do other things that don’t require you to shell out a single dollar. Trust me; your memories of these events will be far more valuable than any trinket you take home. A trip doesn’t have to be either fun or inexpensive. It can be both! Keep the abovementioned tips in mind and don’t forget the main reason you’re travelling in the first place: to see as much of the world as you can, and collect unique memories. Anum Yoon is a blogger, freelance writer and everything in between. She mostly writes about money, but also enjoys writing about her travels. She created and maintains her personal finance blog Current on Currency. You can follow subscribe to her blog newsletter right here. I’ve learned that a lot of my family/friends don’t even want souvenirs anymore, which works out really well for my budget! Occasionally I’ll bring home a souvenir for myself, but they’re usually things I can wear a million times (shirts, sweatshirts) or things I use all the time (coffee mugs). Great advice!